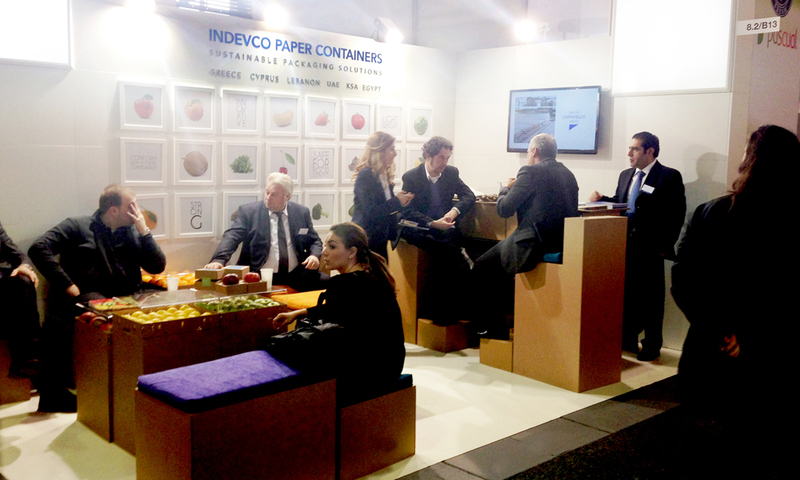 INDEVCO PAPER CONTAINERS EXHIBITED CORRUGATED PACKAGING SOLUTIONS AT FRUIT LOGISTICA 2014 - UNIPAKHELLAS S.A.
UNIPAKHELLAS and UNIPAKCYPRUS exhibited corrugated packaging solutions for the agricultural sector at FRUIT LOGISTICA 2014 in Berlin from 5 – 7 February. 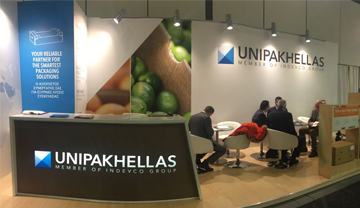 After successfully participating at FRUIT LOGISTICA 2014 in Berlin from 5 – 7 February, INDEVCO Paper Containers, represented by UNIPAKHELLAS and UNIPAKCYPRUS, thanked visitors for making the event a remarkable step into the European market. 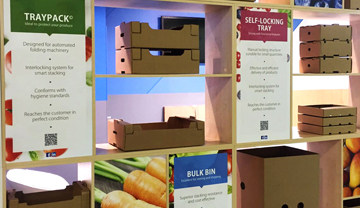 At the world?s largest fresh produce exhibition, UNIPAKHELLAS and UNIPAKCYPRUS exhibited corrugated packaging solutions for the agricultural sector featuring products from high-resolution corrugated trays to sturdy bulks bins. The booth, entirely made of corrugated furniture, showcased the versatility of corrugated board for innovative designs and usage. In addition to offering a great opportunity to interact with visitors, FRUIT LOGISTICA 2014 provided an ideal forum to present a new packaging solution. 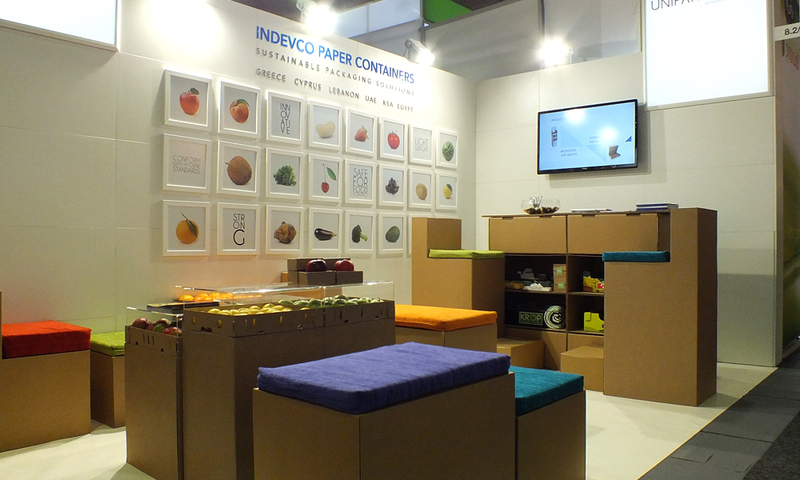 INDEVCO Paper Containers’ new design, targeting the delicatessen market, features a modular and reusable corrugated box to pack and display one fruit. The smart corrugated packaging design grabbed the attention of fruit growers and visitors during the event. 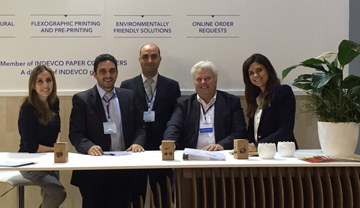 INDEVCO Paper Containers, a division of the multinational corporation INDEVCO Group, specializes in corrugated and solid board packaging and operates in five manufacturing plants in the Middle East, North Africa and Europe. UNIPAK, UNIPAKNILE, UNIPAKHELLAS, ROTOPAK, UNIPAKCYPRUS are members of INDEVCO Paper Containers.